Marine's Mom Was Live On TV. When He Tells Her THIS, And She LOSES It. 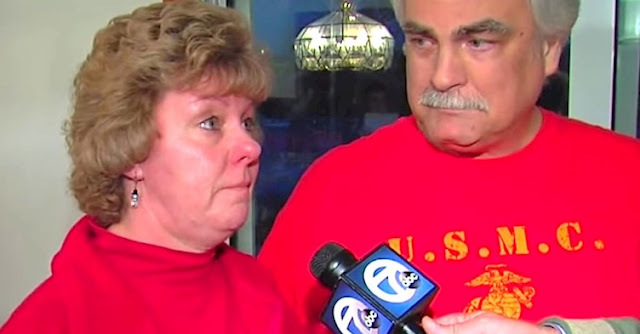 A Marine told his family that he couldn't make it home for Christmas, then he unexpectedly walks through the door while they're being interviewed and leaves them in tears. Pvt. Shane Martin, planned his return with his sister and Detroit's WXYZ and they made sure that it was all caught on television. Aside from his sister, no one in his family had a single clue he would be returning. To make sure his parents had no clue he was going to return, he sent his mother roses with a note saying "Sorry I can't make it home for Christmas." The news station was interviewing his family as they spoke about how hard it was to be away from their son who had joined the military with his best friend. As soon as his mother began speaking, you could hear that she was holding back her tears to the best of her ability. Likewise, Shane's father was also struggling to hold his emotions back. During the interview, his mother said, "It’s very hard to describe, like a piece of us is missing. We are usually all together for the holidays, so this one is going to be very difficult." His father then goes on to thank him for his service and how he worries about him. Without them knowing, their holiday was about to become whole again. Watch the beautiful reunion below.